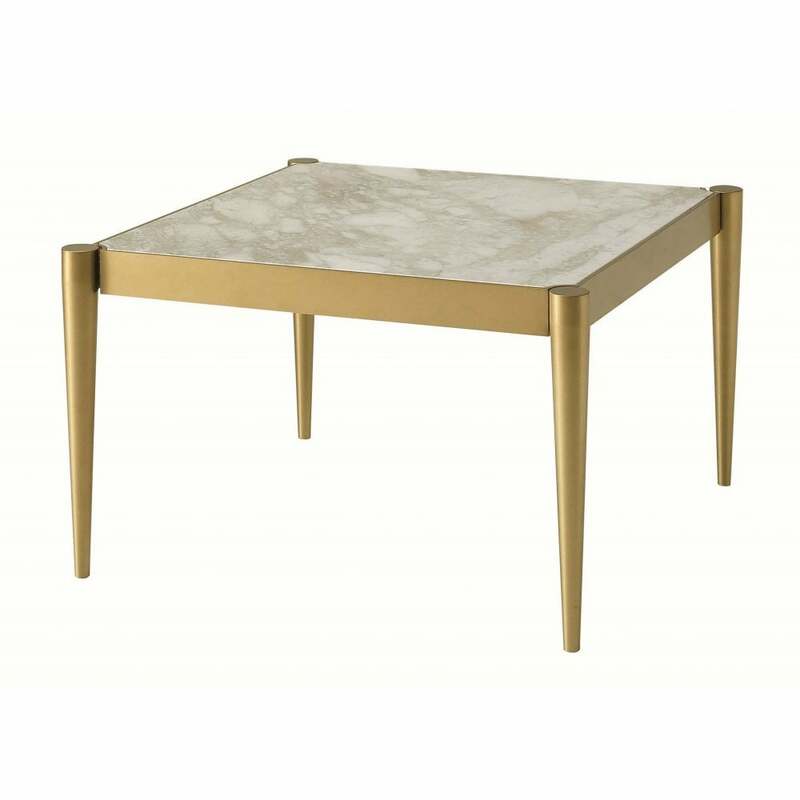 Created for design lovers, the Albert Coffee Table combines on-trend brass with detailed marbling. Inspired by the glamorous art deco era, this perfectly formed square table is ideal for smaller settings. The square shape lends itself well to be used as both a side table and a coffee table. The brass structure is complemented by a Calacatta marble top, a popular material from the 1920’s and 30’s. This coffee table works beautifully with rich chocolate hues and dark grained wood. Style with accessories such as photo frames, greenery and coffee table books for a modern look. Get in touch with our team for bespoke finish options. Made in Italy. Priced for Brass Structure, Emperador Marble Or Glass Top, Brunished Brass Finish.